NEROCA FC had a promising start to the season but a topsy-turvy run since then brought them to a crucial juncture of the league where they have to depend on others to bring the I-League trophy, the holy grail of Indian Football to Manipur first time ever. “We will try to win the final game and then if luck favours us, we’ll take the trophy to Manipur. You never know what’s going to happen in football”, rightly said by the astute striker who has already pummelled four goals in the league for the orange outfit. 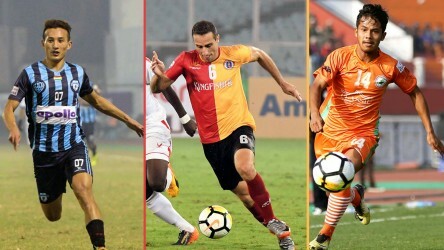 Kingfisher East Bengal have made a strong back of late as well as Minerva Punjab FC have been the revelation this season, whereas the Manipuri Side have silently amassed one after another win to clinch the pole position. Minerva are currently two points adrift of them with two games in hand and it is not lost on Singam, “We have played two games more than Minerva, so they are certainly better placed than us.” Although the team can take heart from the fact that two of their remaining three games are at home. “It’s the beauty of football that it’s so unpredictable. East Bengal showed their calibre against Chennai City FC whereas they were beaten in the earlier game. We know what’s to be done against them in our last outing, we will have to be on our toes to get the best result possible”, he added. Defeat can be deflating for any side and it was no different for NEORCA but the way you bounce back is what separates the boys from men. 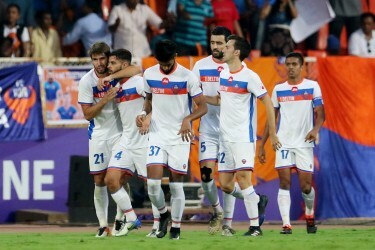 NEROCA FC proved themselves by beating the in-form Churchill twice to get themselves back into the reckoning before going down fighting against his former recruiter Mohun Bagan in their final hurrah at home this season. “We took the field with just victory on our minds. Quickfire goals in quick succession set the tone of the match. Going behind twice and then coming back strongly to earn a win ratifies Mariners’ command on the game and we had no other option from accepting the defeat”, he quipped. “Everything said, the home support has been great for us. 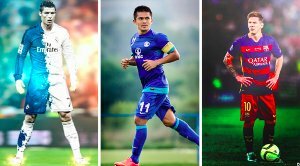 I am a local boy and it’s a great feeling to play for a Manipuri team in the I-League”, reiterating the massive fan support the team has got this season. People have thronged to the stadium to watch the boys in action and Subhas compares to his previous experiences. 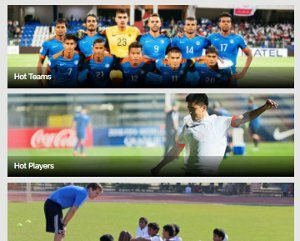 “The enthusiasm of the people towards NEROCA has been overwhelming. I’ve played for both Mohun Bagan and East Bengal and I can say that the fans of NEROCA are equally passionate if not more”, he exclaimed. NEROCA FC will play their final game against Kingfisher East Bengal in Kolkata on March 8, 2018.